If you love “Bubble Ball”, you will also love TinkerBall. Developed by Autodesk, this app’s tagline is so true.. If you can imagine it, you can build it. This app offer you two game options. 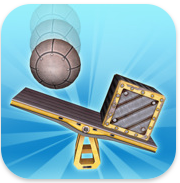 The first one is the Puzzles where you can stretch your brain try to solve the “puzzles” by using physics-based puzzles and mechanical concepts. This is an app that’s really a-MAZE-ing. It combines a maze game with a look-and-find adventure based on Roxie Munro’s specially design maze. You can find her amazing arts at her website : http://www.roxiemunro.com. This app contains 16 screens where you have to find your way by driving a car, walking, flying, skiing, and rafting. During the trip you can find letters, numbers, penguins, and dozens of other items which you have to find different items every time you play. You can play this app together with your children for hours and enjoy the beautiful drawings Roxie has created for this app. 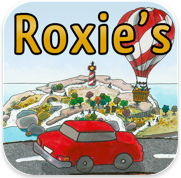 Please also visit http://www.ocgstudios.com/roxies-a-maze-ing-vacation-adventure/portfolio-1/ to follow the making process of this amazing app. Another iPad app for kid to learn. This time it’s First App for Kid HD – English Indonesia. From its name it’s surely targeted Indonesian kid who wants to learn English or the other way round. All voices and texts are in English and Bahasa Indonesia languages. threesixtyguides Bali gets you to where you need to be on the world’s premier luxury destination. Packed full of information on a hand-picked selection of top level villas, resorts & hotels, chic boutiques, cool spas, world-class restaurants and hip bars and clubs the 2010-2011 version of threesixtyguides puts you in the heart of hip happenings with more essential listings and vital insider knowledge making threesixtyguides the go to app of choice for the discerning modern visitor to Bali. With lots of features, this app surely can help you find all you’re looking for in Bali.. This is another magazine reader for iPad. This time it’s a magazine reader for Architect. Develop by RR. Donnellley it links to Architect Magazine website (http://www.architectmagazine.com/) and offer you to read online or download Architect Magazine issues to be read on your iPad. This app also has a link to advertisers website so you can also get additional information you need mentioned on the articles. 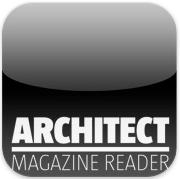 I found this app really useful for Architect Magazine reader. 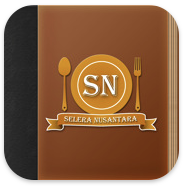 Prepare your favorite seafood meals or famous Indonesia hawker food in your kitchen using Selera Nusantara iPad App. The app is very easy to use and provide you with step-by-step preparation detail, ingredients and high resolution images. 4. Timer to get notified when the dish is ready. 5. Recipe details : meal description, number of serving. With this application, you can start with choosing your favorite menu, the make a shopping list of the ingredients directly from this application, go the groceries, and start cooking your menu.. It really helps you a lot to be able to cook your favorite Indonesia recipe. I hope that on the update of this app we will see more and more Indonesia recipe available. Developer: Apps Foundry Pte. 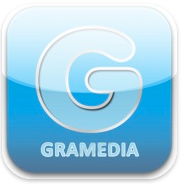 Ltd.
For Gramedia magazine lovers, now you can download and read Gramedia magazine on your iPad using Majalah App. This app features new way to read your magazine using iPad accelerometer function that will make sure you get new experience on reading your favorite Gramedia magazine..